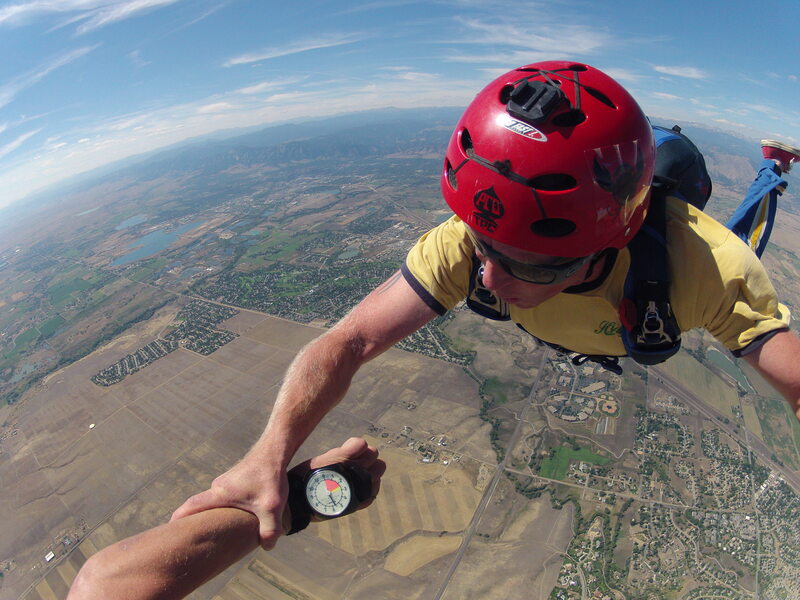 Looking forward to cross skydiving off your bucket list? We agree you should! 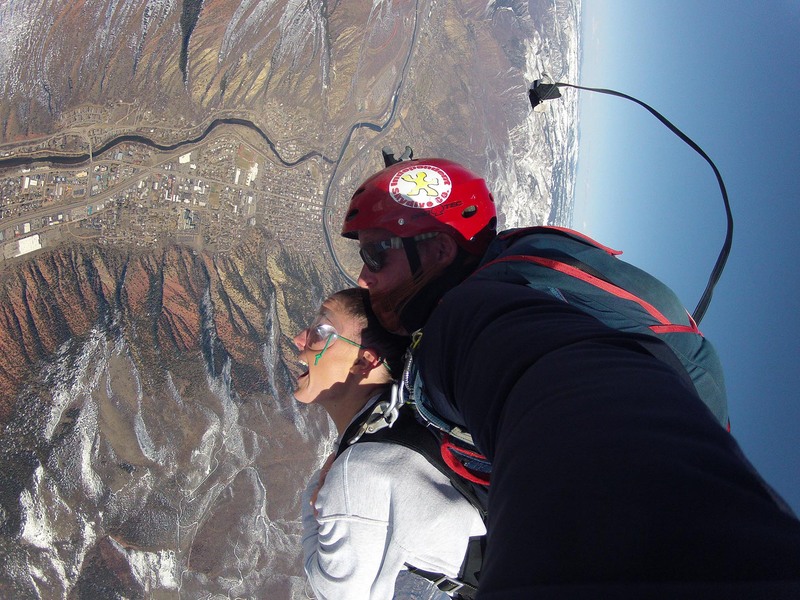 Roaring Fork Skydivers knows you have options but you should know that we offer some of the better deals. A tandem skydive is where you’re harnessed and attached to an experienced instructor and they’ll be responsible for operating the parachute. You’ll learn the basics of body position on freefall and safe landing procedures. Learn about human flight by making a tandem jump! is $308.00. This includes instructions from one of our United States Parachutes Association-rated (USPA) instructors, gear and equipment rental such as jumpsuit, goggles and gloves, 25 to 30 seconds of freefall time, about 5 minutes of parachute ride, a tandem certificate to prove the experience (every jump counts toward your license! ), free t-shirt, and free bumper sticker! You may purchase your video and photos package for an extra cost of $100. All footage and pictures will be in digital format which will be handed to you a few minutes after you land for the jump! 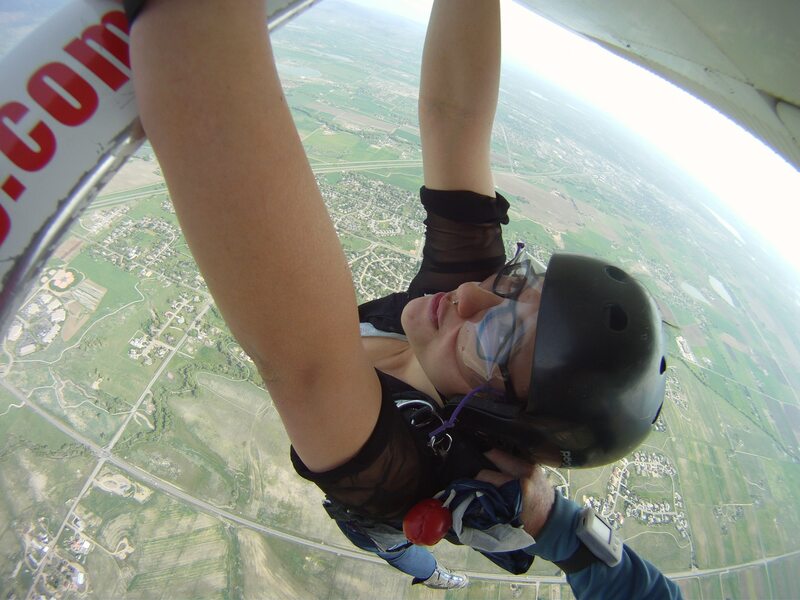 Experienced jumpers are also welcome to jump with us for $30 per ticket, and parachute rental is $25 per jump. Altimeters are also available. 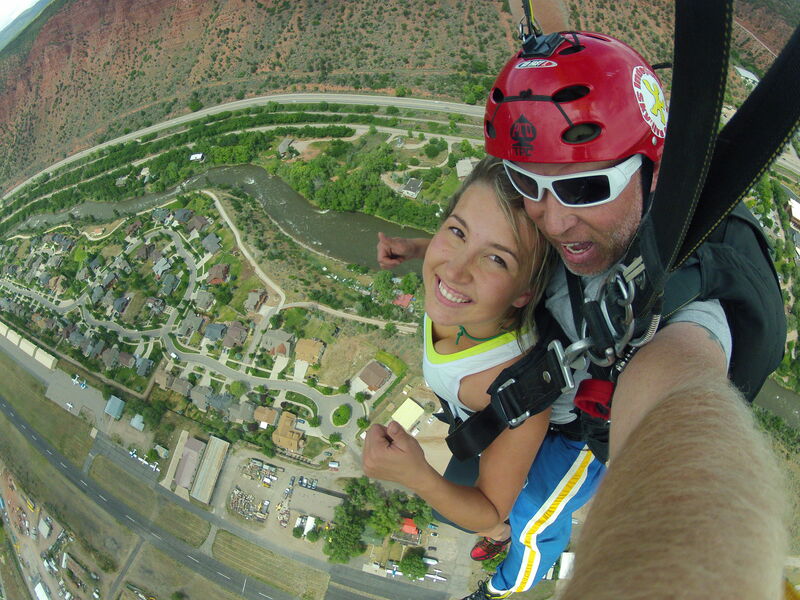 TO FIND OUT ABOUT OUR SKYDIVING DEALS, CALL +1(970) 364-3737. You may find cheap skydiving promos, deals or sales but keep in mind that you get what you pay for. Third-party agencies run such deals or skydiving centers who do not invest much towards their equipment (…underpaid staff utilize them, by the way – yikes!). 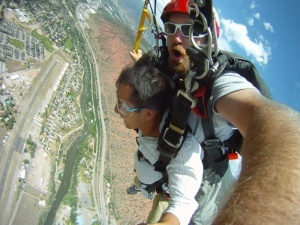 Skydiving is a relatively safe sport though at times unforgiving. We do not cut corners and our dropzone do not rely on upsells and jump volume. 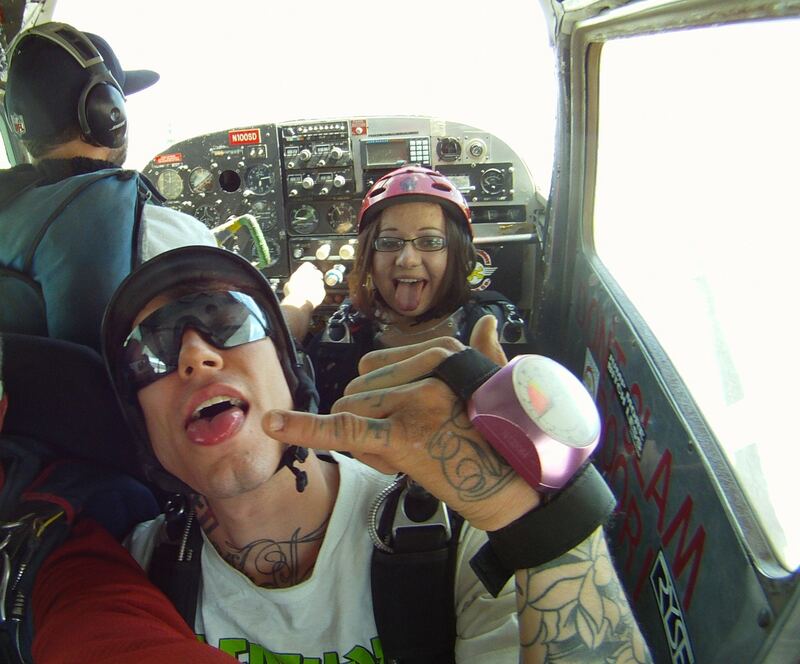 Your instructor wouldn’t be rushing to check your gear before we throw you out of an airplane! 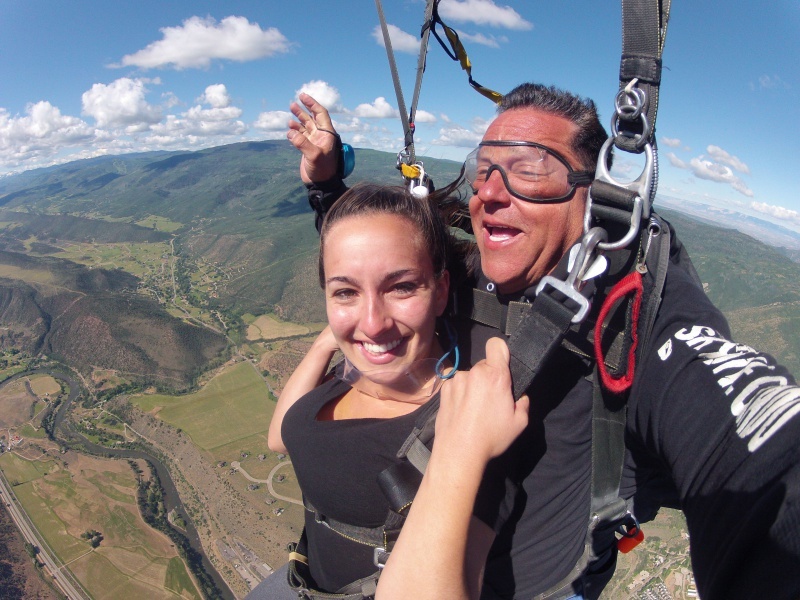 TO FIND OUT ABOUT OUR SKYDIVING DEALS, CALL +1(970) 364-3737, OR YOU MAY ALSO CONTACT US AT HERE. When I moved to Colorado with plans to begin jumping, I did not expect it to take over me as much as it did. After doing my FJC at Independent Skydive Company and completing a few jumps I was hooked and wanted to do anything I had to to venture further into the sport. After obtaining my A License, I started jumping as often as I could, averaging about 60-70 jumps a month. I started to really enjoy the sport! After jumping and hanging around the drop zone for a couple of months I began packing for ISDC. I continued to ground crew, jump and learn from all the instructors. I am still currently working at here packing tandems and am now starting to coach. I am excited to dive head first into the sport and couldn’t be happier with the friends and experiences I’ve made working here. After successfully completing all levels of the IAD program you have one last supervised jump! In this jump you design the skydive. You will need to spot for your jump, incorporate disorienting maneuvers(loops, rolls, flips) and precise turns and docks. You will break-off and track for max separation, wave off and pull by the desired altitude, fly a good pattern while landing gracefully and accurately. 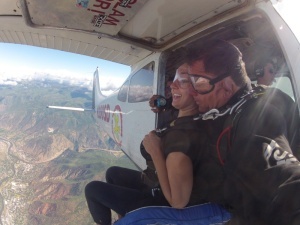 Now you are ready for self supervision and can do group skydives with licensed skydivers! Blue Skies! By this point in your training you will be falling stable, pulling at the correct altitude, flying good patterns, landing safely and accurately. You will also be jumping from height, full altitude jumps! During these jumps we will be exiting unstable and doing disorienting moves such as: front loops, back loops and barrel rolls. We will also be docking with other skydivers and tracking away for max separation during opening. You should also be doing your own prejump gear inspections, giving gear checks to your fellow skydivers, joined the USPA and have a good understanding of the BSR’s and FAR’s. You will also have a good understanding of canopy flight and flight characteristics of parachutes. After your successful “clear and pull” you are ready to start flying your body! First we look for stable free fall. Good belly to earth body position and heading control. Once you display good stable free fall and most importantly “ALTITUDE AWARENESS” we start working on human body flight! These next jumps you will be learning basic flying skills. As you complete required maneuvers, we jump from progressively higher altitudes. You will also be learning more about the equipment you are using, flying good patterns, landing safely and becoming a more proficient and safe skydiver. After the first jump course You will have the skills and confidence to start your skydiving career! On your first jumps we look for good body position, arms up, hips forward and head back. 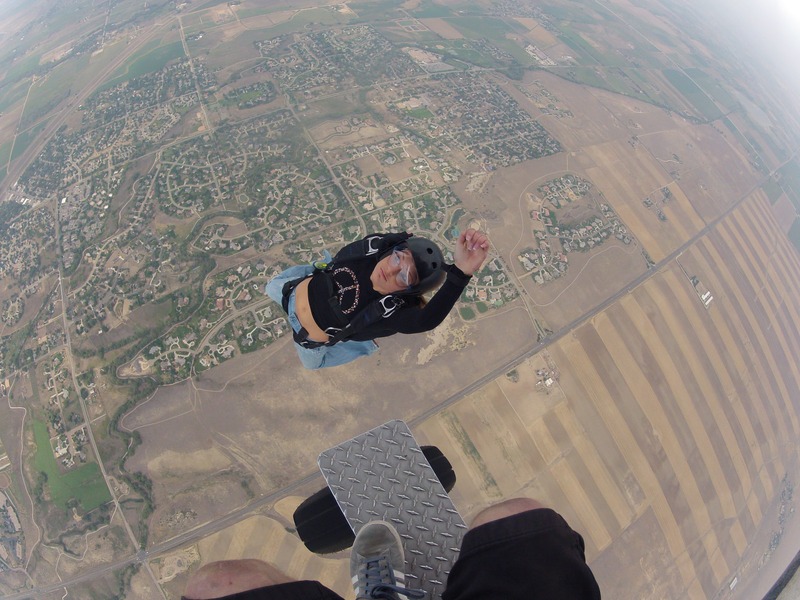 The exit sets you up for your entire skydive. A good exit is the foundation for good in air maneuvers and will also increase you freefall time. 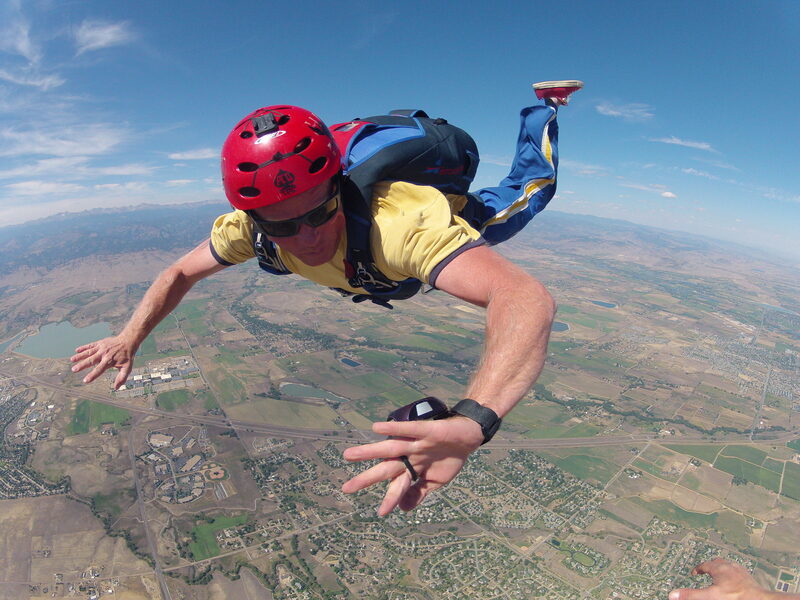 On these first jumps you will be learning the basics for good safe skydiving habits. We stress canopy control and landing safely first and foremost! Once you start flying good patterns and landing safely we start working on your freefall skills. 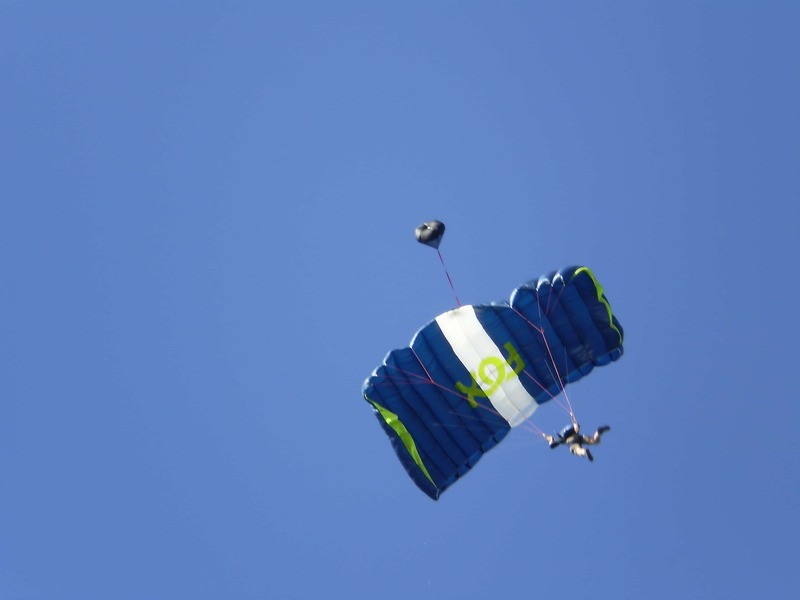 During these jumps we also start training you deploy your own parachute! Ready, set, arch and away you go! Once you display the skills to deploy your main while keeping good body position you will be set to “clear and pull!” Then you are on to Jumps 6 thru 9. More freefall time and freefall maneuvers!